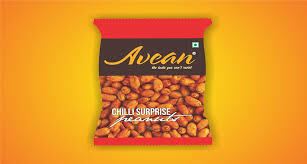 Avean International Pvt Ltd launched its Avean Chilli Surprise Peanuts, which is a range of flavoured peanuts. Peanuts are high in fibre, nutrient dense and a healthy wholesome food. Studies show that people including nuts in their diet lower their risk of developing type 2 diabetes and heart disease. We do not like the fact that the brand has not thought it important to mention the salt content in this product and it is no secret that snacks in India are generally higher on the sodium content. Snacks like these in India are generally high in salt and so we are surprised as to why the manufacturers have not mentioned the salt content in them, it is the right of the consumes to know exactly what they are eating and what the ingredients are exactly. This product contains palm oil and palmolein oil which is generally a safe oil as unlike most other vegetable oils, palmolein is primarily saturated fat, it is better suited for cooking. It does not have too much PUFA, which can get oxidized under heat and is rendered toxic but last year, the safety authority delivered a scientific report that current levels of glycerol-based process contaminants found in palm oil are a “potential health concern.” Animal studies have identified these contaminants, which are formed when vegetable oils are heated to high temperatures and then refined, as both genotoxic (damaging to DNA) and carcinogenic (causing cancer). Of all vegetable oils, palm oil was found to have the highest levels of these contaminants. At high levels of exposure, these contaminants are a health hazard for all age groups, the authority concluded, expressing particular concern for infants, toddlers and children under the age of 10. 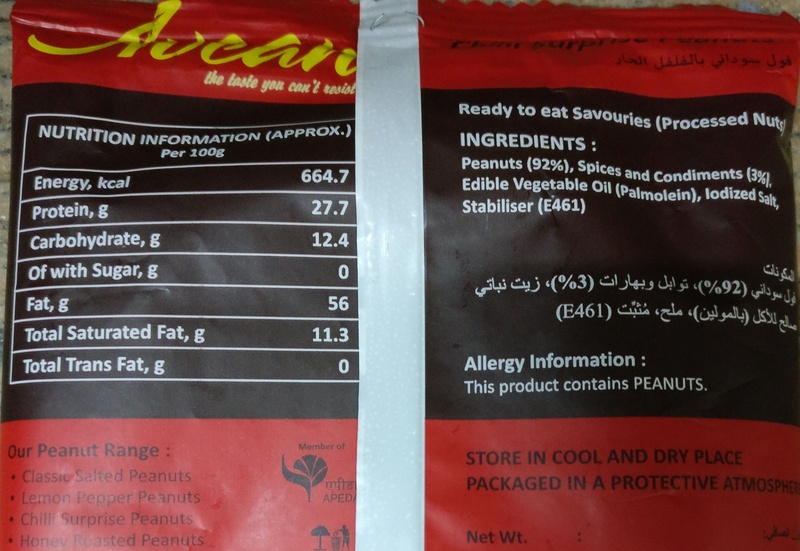 The product has wholesome peanuts and refined palmolein oil which altogether add wholesomeness to the product. Unlike most other vegetable oils, palmolein is primarily saturated fat, it is better suited for cooking. It does not have too much PUFA, which can get oxidized under heat and is rendered toxic.